If you are wanting to know the resale or appraised value of your timeshare, based on what other people are selling their timeshare for and based on what people are offering to buy or rent your timeshare for, you have come to the right place. Knowing the value of an ownership is a very powerful tool when you want to buy, sell, or rent a timeshare. Our Report Database Contains 2,743 Resorts Located In Over 1,400 Cities Around The World. If you have a RCI Timeshare and need help determining its value, click for RCI Timeshare information. Get Your Detailed Timeshare Value Appraisal Report Right Here Now! Timeshare Worth Offers Timeshare Appraisals for Current Resale Value, Bankruptcy, Divorce, Wills or Trusts. Our Appraiser is Licensed, Bonded and Certified By The Internal Revenue Service (IRS) And Has Appraised Over 7000 Timeshare Ownerships. You Can Request An Appraisal For Your Specific Timeshare! Is this Timeshare Report data accurate? Where do the numbers come from? For a long time, no one has been able (or willing) to just let you FOR FREE, see what your timeshare is worth. Well, now you can. TimeshareWorth.com will allow you to select your timeshare resort (from a drop down list) and see what the market says it’s worth. Our experience and knowledge of the timeshare industry and our technology allows us to give you more free information about the value of your timeshare (including RCI weeks), than any other timeshare website. So don’t take our word on it, use our system to get your timeshare value. The average asking price (as well as the maximum and minimum asking prices and rental prices) is at your timeshare resort. And it has the average, max, min prices for the city your timeshare is located in, as well as the state numbers. 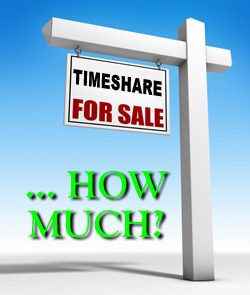 The asking price is the amount other timeshare owners are wanting to sell their timeshare for. These resale prices are for existing timeshare properties listed for sale. We also have the same data elements for what people are offering to buy or offering to rent your timeshare.